Guide and information of Japan travel, with best sightseeing spots for Tokyo Islands, Naoshima, Kurashiki, Himeji, Nagasaki, Kumamoto and more. Japan's northern island Hokkaido, is nature's paradise, used to be the Ainu land, but before Ainu, it was the land for every animals, plants and rocks and rivers. Sapporo attracts many winter visitors for the February Snow Festival, when snow figures become famous constructions and cartoon characters. Otaru is famous for its beautiful Canal which reminds us the pioneer days of Japan, and for the Sushi Restaurant Street offers us the freshest sushi in the world. The largest ski slopes in the area, the Niseko Ski Resort is situated not far from Otaru. Hakodate was the last place for Samurai who was surrendered by new government, Meiji. Furano is famous for its beautiful lavender fields, which blooms in full color from June to July. Note that Hokkaido has no rainy season. Mt.Taisetsu is the center of Hokkaido island surrounded by many hot springs. Biei has what you cannot see in other part of Japan. In the eastern and northern part of Hokkaido, The Kushiro Shitsugen is an extensive national park with beautiful lakes, such as Lake Mashu, Lake Akan and Lake Kussharo are spread around the outskirts of northern Kushiro. Shiretoko Peninsula has the best primitive landscape covered with ice cube from Sea of Okhotsk in winter time (best time to visit Hokkaido). The summer becomes most "hottest" season for Tohoku people (in spirit), the festivals include the Aomori Nebuta Festival, where people parade up on the main street with floats of warrior figures, the Akita Kanto Festival, where more than 200 kantos (bamboo poles hung with lanterns) sway on the boulevard, and the Sendai Tanabata Festival, which is one of the three major festivals in Tohoku. Northern Tohoku, Hirosaki Castle is a national important cultural building. The Shirakami mountain range that velvets to Aomori and Akita is as a world heritage. Kakunodate is a historic town with samurai residences and storehouses. Hiraizumi was originally modeled of Kyoto and is the site of the noted Chusonji Temple built in 1109. It is famous for its gold covered Amitabha Hall and Golden Hall. Southern Tohoku centered by Sendai, the largest city in Tohoku called the 'forest capital'. Mt.Zao, located between Yamagata and Miyagi prefectures, attracts skiers and onseners. Yamadera Temple has its famous poem, 'Shizukesaya Iwani Shimiiru Seminokoe' by Basho MATSUO who eventually found Maktub in a dewdrop of a single leaf. Aizu-Wakamatsu city is the castle town of Tsurugajo Castle. Nearby Mt.Bandai and Lake Inawashiro, which is world-renowned for its natural beauty in color. Niigata, about 90 minutes from Tokyo, is one of the world's snowiest areas and, as such, attracts large numbers of skiers throughout the winter. Sado Island in Niigata is the fifth largest of Japan's islands on the way to Russia. The island made Japan's instruction to the west (Europe) due to its gold mine. Central Honshu have the backbone of Japan, the Northern Japan Alps and Southern Japan Alps, which rise to 3,000m and more. Mt.Fuji is one of the most famous mountain throughout the world, and is the symbol of Japan, now became the world heritage even with self defence force practice field attached. Izu Peninsula is a popular resort area for Tokyo people. 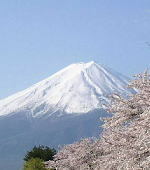 There are open-air hot-springs that view Mt.Fuji and/or the Pacific Ocean. 2020 is another milestone not only for Tokyo but for all Japan. Nagoya is the largest city in central honshu holds the Expo 2005, recently opened unique airport called Centrair with hot spring inside the terminal. Nagoya Castle, originally a residence and military headquarters for Tokugawa Ieyasu. In 2027, it is only 40 minutes away from Tokyo with Mag-Lev ride at top speed of 505km/h. Hida-Takayama where you feel the best of traditional Japan. Shirakawago is an intermountain village registered as a world heritage site. Old wooden houses called Gassho-Zukuri, constructed with thatch, remains as it used to be for hundreds years. The Kenrokuen in Kanazawa is one of Japan's three most beautiful gardens. Kanazawa has 21st Century Museum as well. The Noto Peninsula has unique atomosphere stick into the Japan Sea. A 90 minutes train ride from Kanazawa via Fukui takes you to Eiheiji Temple, celebrated as one of the headquarters of the Soto sect of Zen Buddhism. 2015 started Shinkansen connected to Tokyo direct. Tateyama mountains and Kurobe canyon are knows as a cool point of summer time. Tateyama Kurobe Alpine Route is not JR, but very recommended for the scenic route. Nagano became world-famous as the host for the 1998 Winter Olympics. The Zenkoji Temple is a representative old temple of Nagano. The main tower of Matsumoto Castle in the city of Matsumoto is nicknamed as Crow Castle because of its black walls. Monkey hot spring cannot be missed in winter time. Of course, the capital of Japan, Tokyo, is located center of Japan. The region not only has the biggest city in the world (along with Shanghai and Mexico City), but also has some premitive beauties in nature such as Nikko, Okutama, Mitsumine and more. Nikko remains of historical constructions reflect its glory during the Edo Period when it flourished as an area associated with the Tokugawa Shogun. Day trips to popular sightseeing areas and historical sites can be made from Tokyo. Such areas include Yokohama, which has one of the largest ports in Japan, the ancient city of Kamakura, which used to be operated by Ashikaga Samurai Shogun in 12 and 13 centuries, and the hot-springs area of Hakone, which orginated in the old Nara Period (8 century). Oze has a nice walking trail over wetland located 1,400m above sea level, extending through Gunma, Fukushima and Niigata, three prefectures. Kusatsu, Ikaho, Shima, Takaragawa and Nasu are the famous for hot-spring. Kyoto had been Japan's capital for over 1,200 years (from AD794), and during that time became the best of Japanese art, culture, religion, and thought. Located some 500km west of Tokyo, Kyoto can be reached in 2 hrs. 20 min. by Shinkansen super express from Tokyo. Nara was also a major center of Japan's arts, crafts, literature, and industries. The most famous and national treasured class attraction is Todaiji Temple, where the Great Buddha sits under the wooden roof. And Horyuji Temple is the oldest temple complex in Japan. Kobe is the one of Japan's main ports as well as the Japan's main China Town, along with Yokohama. Nearby, Akashi has national longest bridge connects Awaji Island. Mt. Rokko, located near Kobe city, has one of the spectacular night view over the port. Himeji Castle is registered as a world cultural heritage site. Mt. Koya was founded in 816 by Kobo Daishi Kukai, the great Shingon sect of Buddhism, the monastery is consist of over 120 temples. Kumano Kodo, which is an old religious pilgrimage path, has achieved world heritage registration in 2004. People come to this path after the Shikoku 88 temples pilgmirage. Lake Biwa with its small sacred island inside is the largest lake in Japan, it offers various chances like fishing, swimming, boating and camping. The Japan's Mediterranean Sea, Seto-Naikai, is surrounded by the three main islands of Honshu, Shikoku, and Kyushu. Because of the strategic reason, during World War, Japan made her best battleships in this area (Yamato and more). Chugoku locates in the far west of Honshu, main island. Shikoku (literally four countries), Japan's fouth largest island, can be reached via the Seto Ohashi Bridge by JR trains. Tottori Sand Dunes lasts 5km along the Japan Sea where you can ride 'imported' camel. Izumo Shrine, which origins go back to the times of Japanese myth, is situated in the eastern part of Shimane Prefecture known as the Izumo sacred region where so-called 8 million gods gather, the number is very similar to Sikh. The atmosphere of a historical castle town can be felt in Matsue, which is referred to as the 'Water Capital' because of her bordering to lakes, seas and rivers. The higest peak of the Chugoku region is Mt. Daisen where you can ski in winter time. The Hiroshima Peace Memorial and The Dome are symbols of everlasting peace, portraying the horror of atomic bombs which we don't want to see anymore anywhere in our universe. Warehouses with white colored wall stand along the Kurashiki River in Kurashiki. Miyajima is included as one of the Three Views of Japan, is an island in the Seto Inland Sea, also called as floating shrine. The Itsukushima Shrine is located on the island and is known as the center of the island's belief. The 4th biggest island of Japan has 4 of 12 original castles. Marugame, Matsuyama, Uwajima and Kochi. 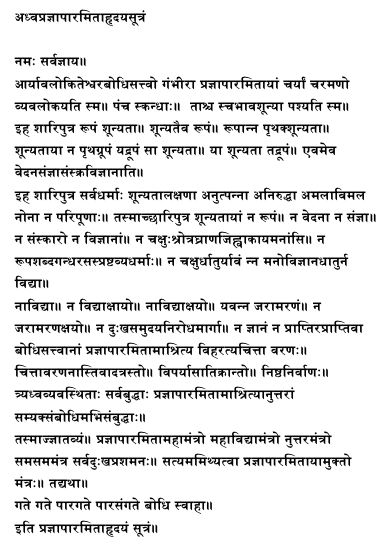 Also 88 Temples which attract young and old for their enlightment and impermanence of life and death. Matsuyama holds the oldest hot-spring in Japan called Dogo Onsen. The Shimanto River is one of the clearest streams in Japan (no damn dams!). Should you be interested in the Pilgrimage, we'd also like to invite you to hit and surf on Three Years in Tibet and this mantra and below before becoming an itinerant trader of soul here in Japan. Located in the north of Kyushu, Fukuoka is the transport hub of Kyushu, also connected to South Korea by ferry and flight, as well as the center of economy and administration. Dazaifu Temmangu Shrine is the God of education, sister of Yushima Shrine in Ueno, Tokyo. A port town, Nagasaki, developed her ties with foreign countries especially Holland and China in early era. Huis Ten Bosch is a theme park with 17th century Holland. A Nagasaki Peace Park was established at the epi-center of the atomic bomb blast to appeal the forever peace. The generous nature of Kyushu where Japanese Emperor landed from heaven, has stunning hot springs and mountains, can be seen in Beppu, Aso, Kirishima and Takachiho. The Aso Panorama Line, a large-scale landscape on the plateau access to the active vocano Mt. Aso. Kumamoto Castle, constructed in 1608, is one of Japan's three beautiful castles. Beppu is a hot-springs town with one of the greatest quantity mineral water from the earth. Yufuin is another well-known hot springs region in mountain area, surrounded by beautiful zen nature. Southern Kyushu is pleased with a warm climate throughout the year which has almost a tropical atmosphere. Sakurajima is most active mountains in the island, errupts ashes all over the city (almost everyday). The "sand bath" where one is buried under heated sand evaporated by underneath hot-spring, is a specialty of Ibusuki in southern Kagoshima-ken. One of the largest evergreen forests in Japan can be observed on Yakushima Island, located 4 hours slow ferry ride from Kagoshima port, you can feel the 8,000 years giant trees as you might have seen on Mononoke-Hime (Princess-Mononoke). Amami islands are the Christmas present from the USA in 1953. Okinawa is world-class beautiful seas and white sand beaches of the tropical island. The Shuri Castle belonged to the Ryukyu Dynasty, which reigned in Okinawa for 450 years from 1429 till Japan's lost World War (when USA occupation started). And all Okinawa islands were refunded from the USA in 1972. Kita-Daitoujima and Minami-Daitoujima were inhabited only after 1900. The first settle came from Hachijo-jima (south of Tokyo). The main island has one mono-rail from the airport to the city center. Western most island called Yonaguni is only 110km away from Taiwan, yes, you can see the Formosa!